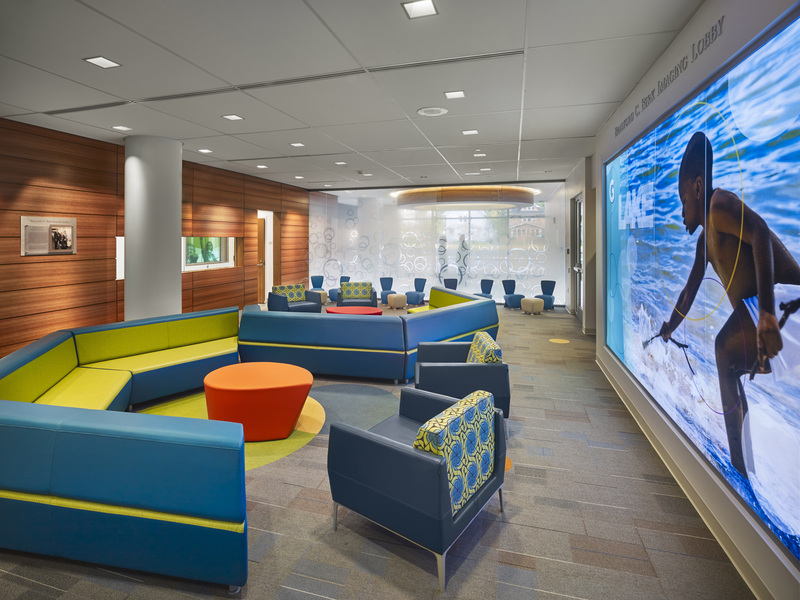 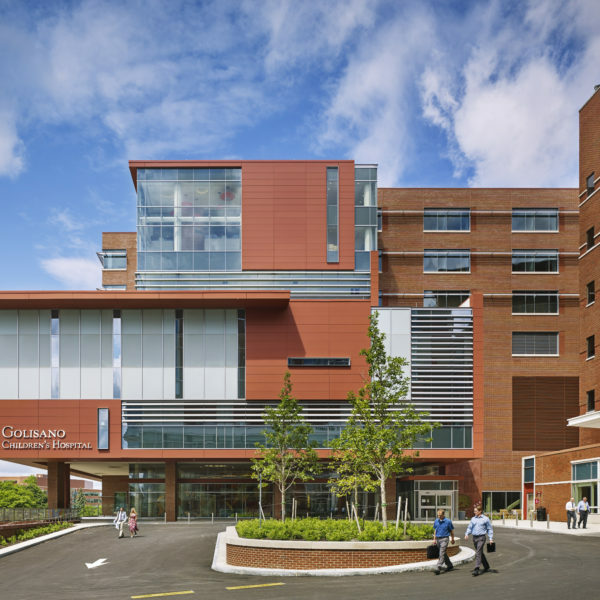 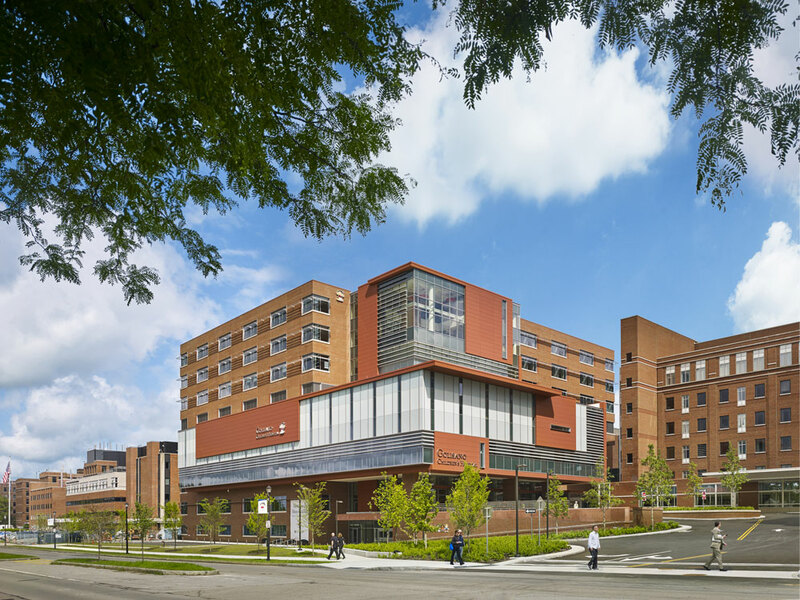 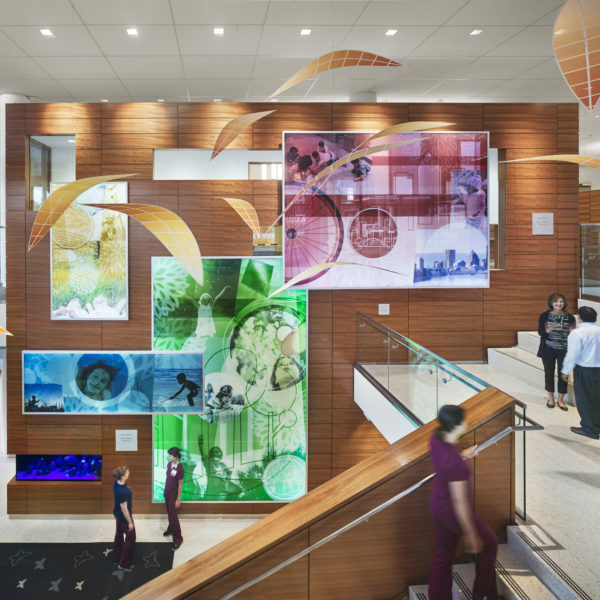 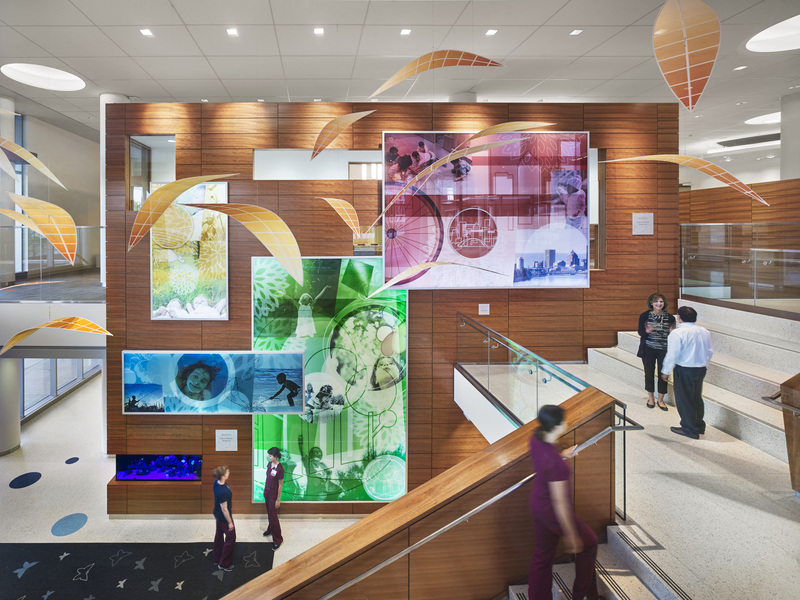 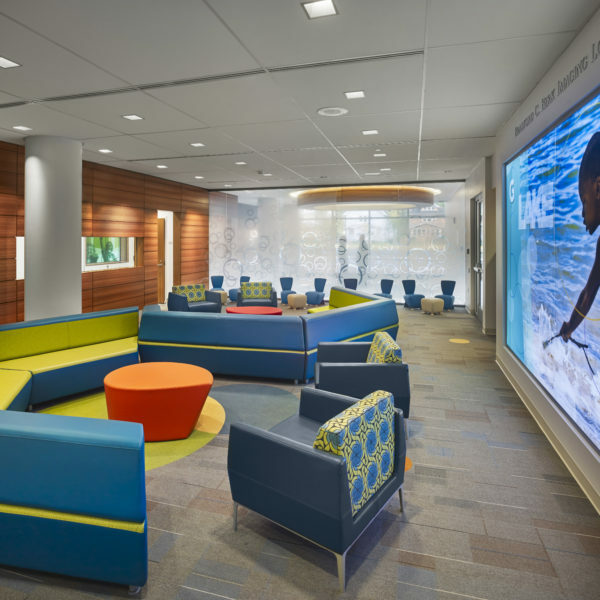 This project consisted of the construction of a new 245,000 SF, nine-story, state-of-the-art expansion of Golisano Children’s Hospital on the Strong Medical Campus at the University of Rochester. 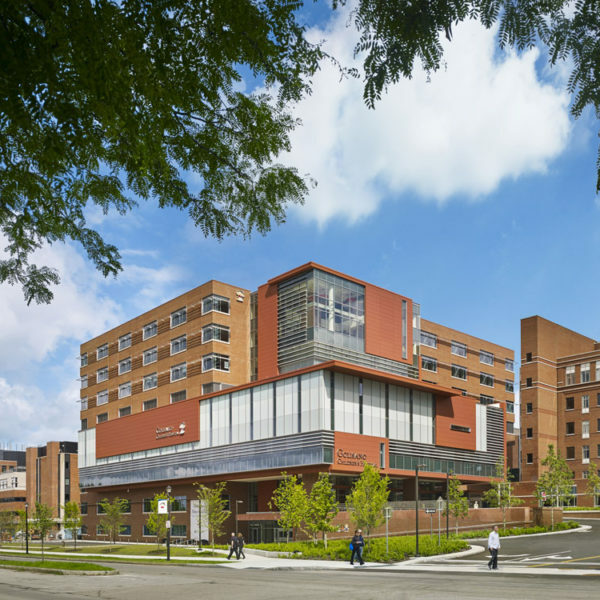 This project is the largest capital project to date for the University of Rochester. 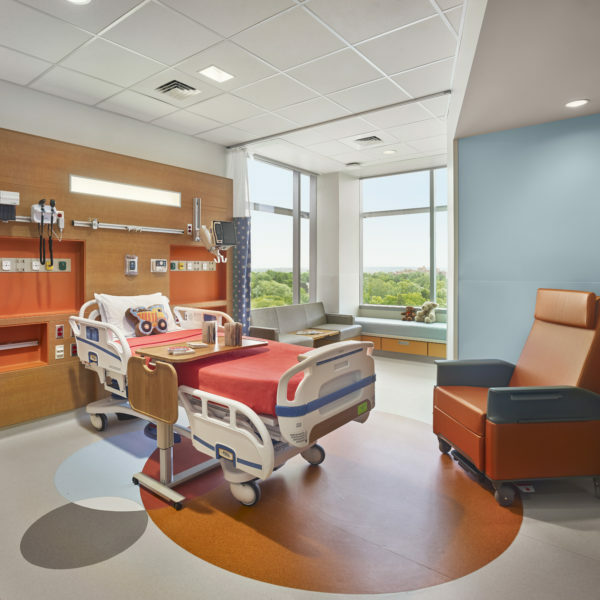 Key features of this project include a new pediatric imaging unit, 60-bed neonatal intensive care unit (NICU), 56 general care beds, two shell floors for a future pediatric intensive care unit (PICU) and pediatric operating rooms. 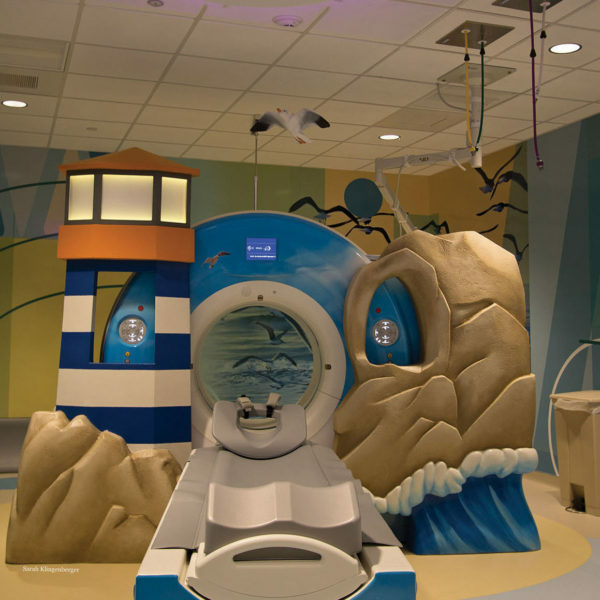 Some of the unique features of the project focus not only on the children but on their families, as well. 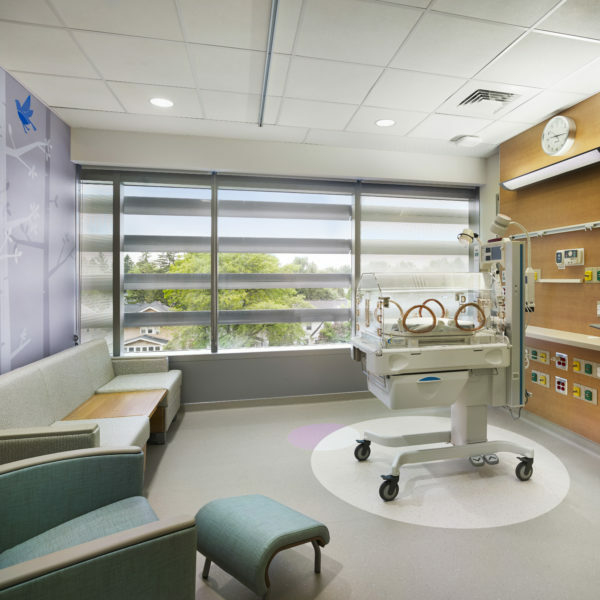 Pediatric patients and their families have private rooms that include a new hospitality suite parents can use to shower, eat a home-cooked meal as a family or even run a load of laundry. 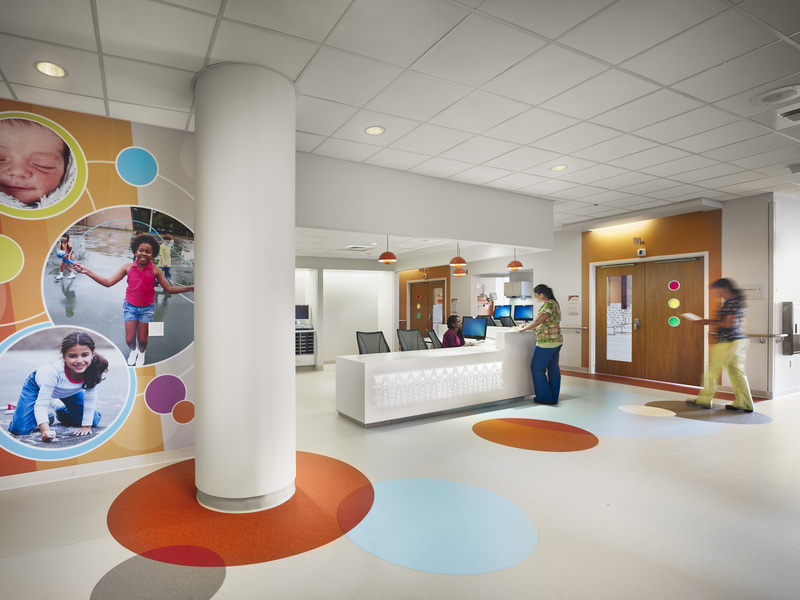 There is also a resource library that allows families to learn more about the illness or injury their child has. 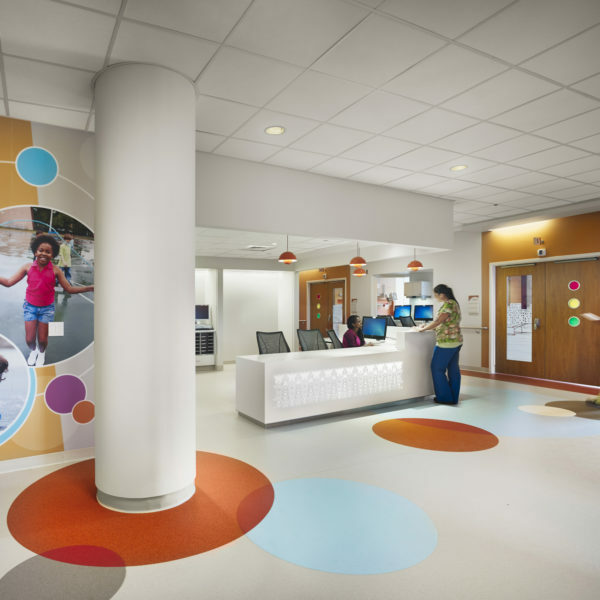 A concierge service assists parents with errands or other needs, allowing parents to focus on their child. 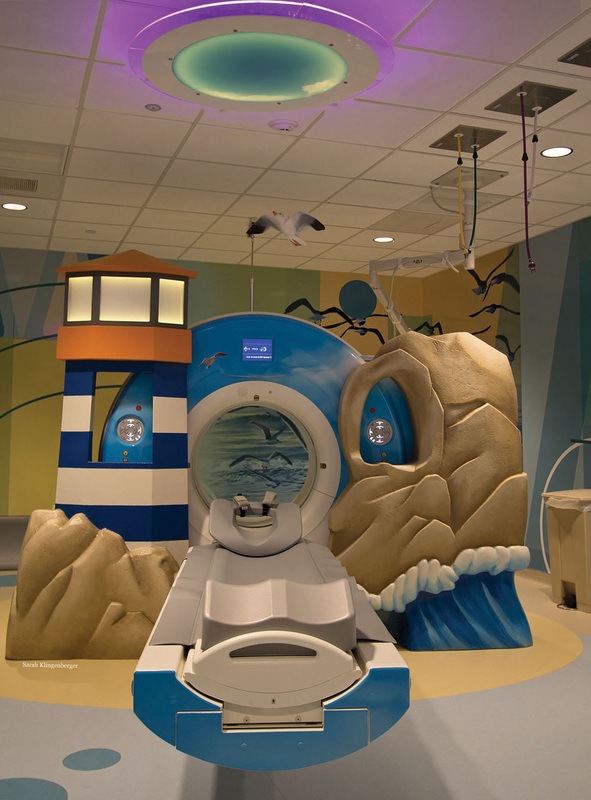 The need for play and normalcy is key to pediatric recovery. 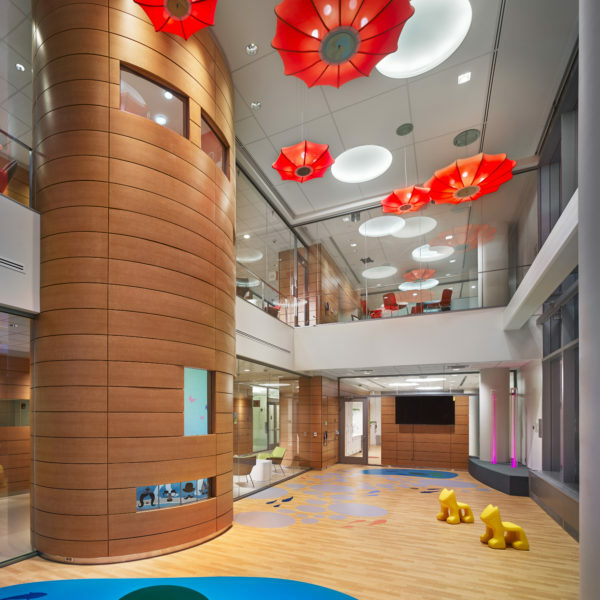 The new hospital has a toddler playroom and new two-story play deck on the seventh floor. 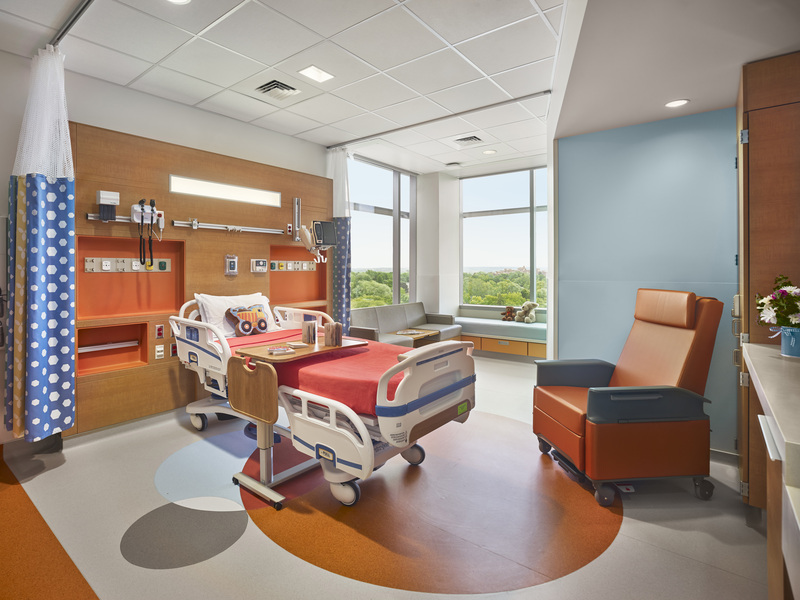 On the eighth floor, there are a school room and a teen room that overlook the play deck. 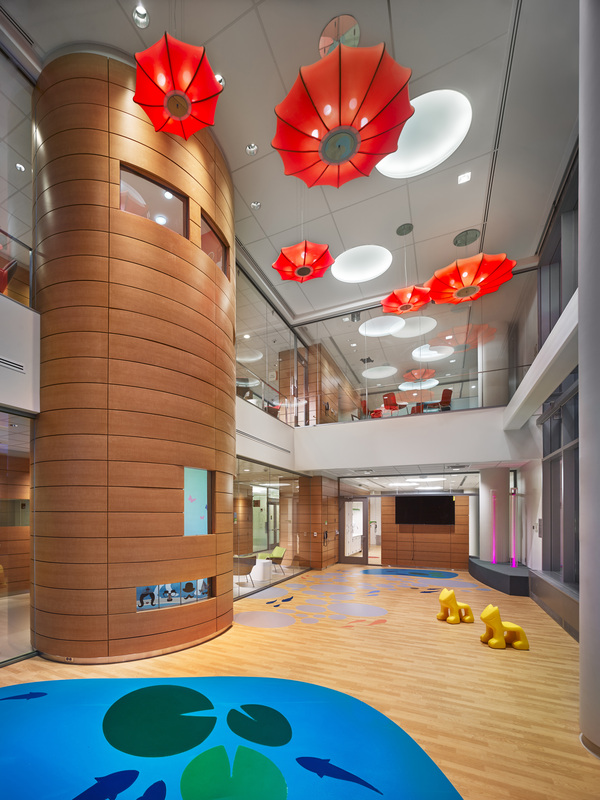 An outdoor rooftop play space and a healing garden were also constructed. 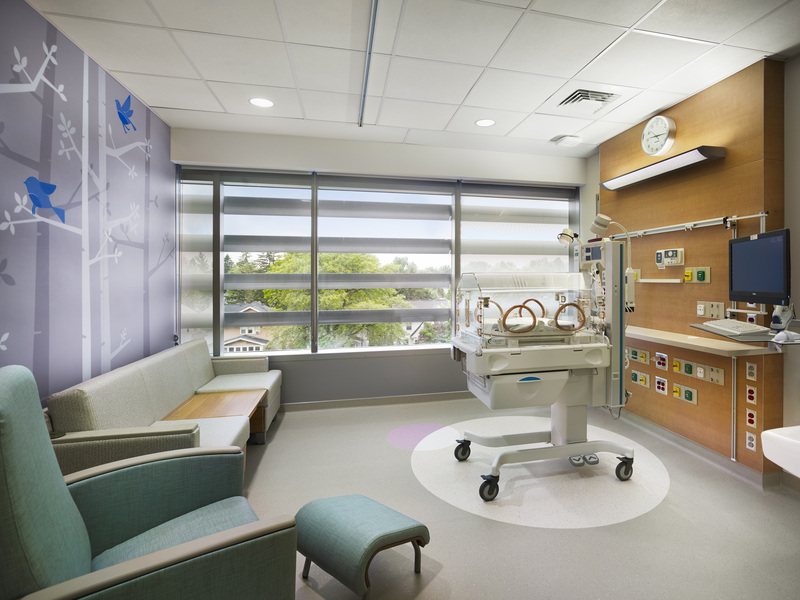 The two general care floors have a lounge area allowing parents to rest in a living room-like atmosphere. 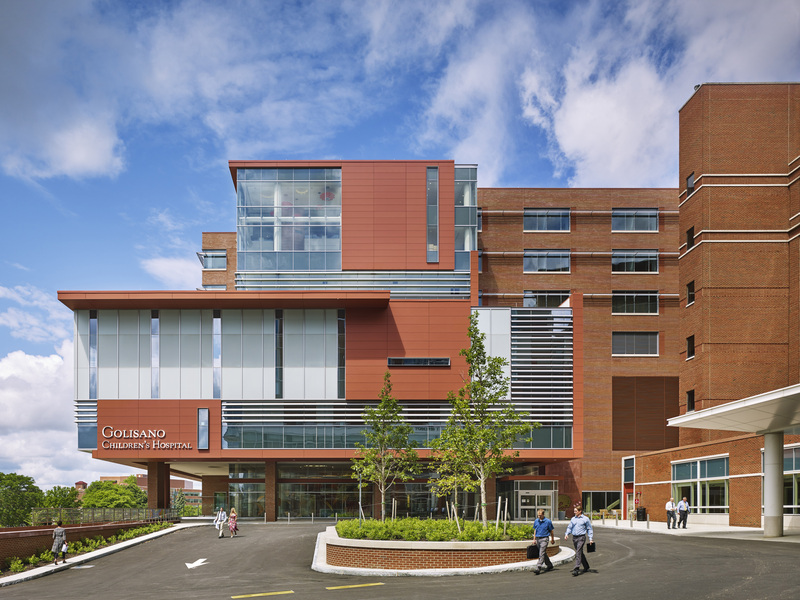 The hospital includes two bridge connections to the existing hospital and has tie-ins on the first and ground levels.